Anyone who knows me knows that I spend all winter waiting to go to Starlight. 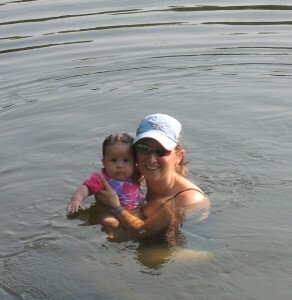 More specifically I can’t wait to go swimming in the lake. 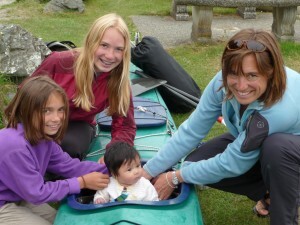 As a child my mom used to say that we spent 95% of our waking hours in the water! 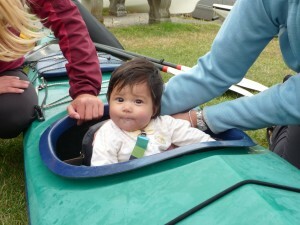 So it was no surprise that on our first really warm day here I took Sabine swimming with me and she seemed to enjoyed it (no crying at least!) To say that I was as happy as a clam would be an understatement. 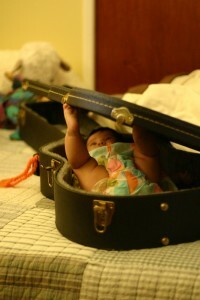 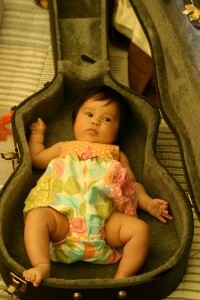 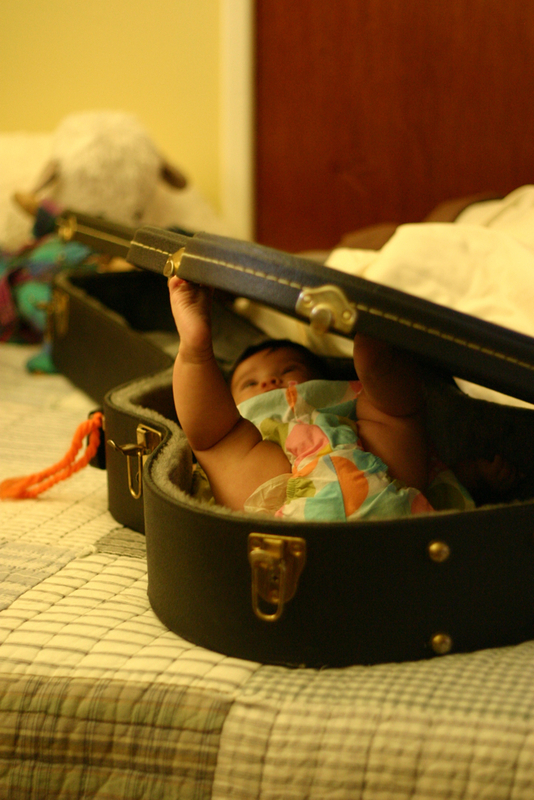 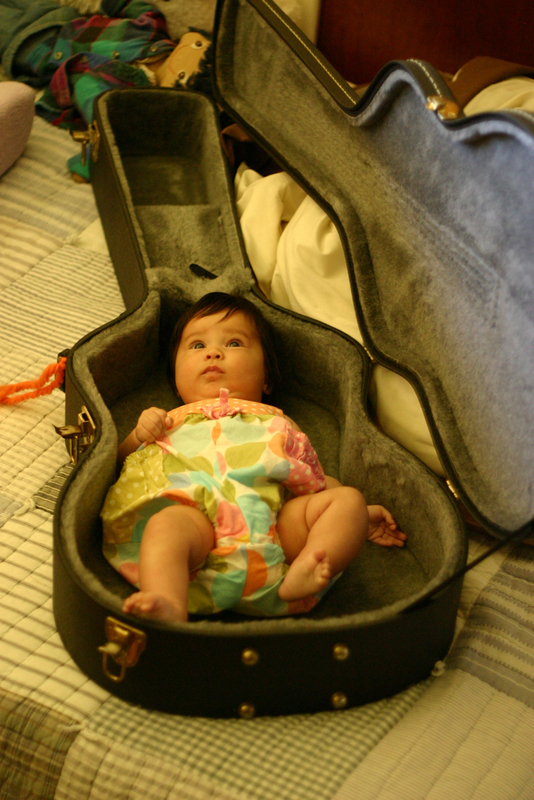 Sabine wanted some early guitar lessons so we decided to start with how the guitar case works. 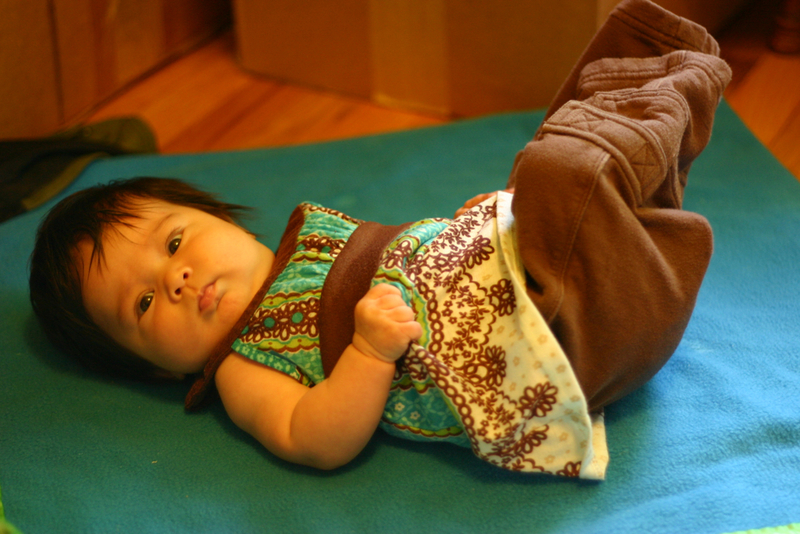 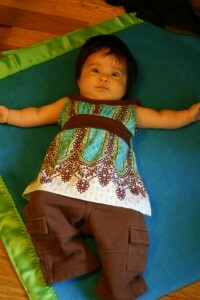 Sabine received some new hand-me-down outfits, courtesy of her friends Matina and Terry. 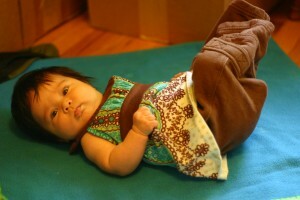 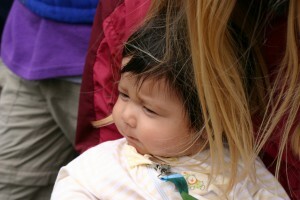 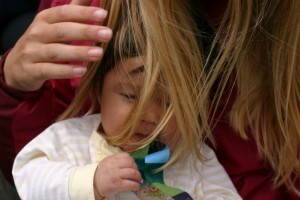 This one is particularly cute, and makes her look quite a bit like a flower child from the 70s.